US industrial designer. He was born in Boston in 1925, attended Penn State University and graduated from Rhode Island School of Design. He started with Westinghouse in 1950, was appointed manager of consumer products design in Columbus, OH in 1955 and design manager for their Mansfield Center in 1969. 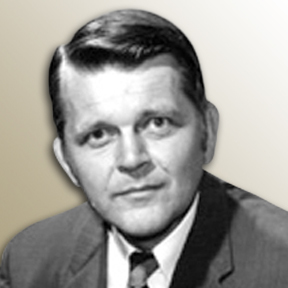 After Westinghouse was acquired by White Consolidated Industries (WCI) he was appointed manager of industrial design for Mansfield Products Co. of White Westinghouse from 1975 until 1980. From 1979 to 1980, he was the elected national secretary of IDSA and was awarded Fellowship in 1979. In 1980 he became vice president of design for White Westinghouse. In 1982 he was named vice president of design for WCI International, a position he held until his retirement to Venice, Florida in 1991.